Sky is cool to hang out pretty much all day as long as she can be in the same room/see what’s going on. I usually put her in her bouncy chair that is very low to the ground, but as of late she wants to be up where Mark and I are. 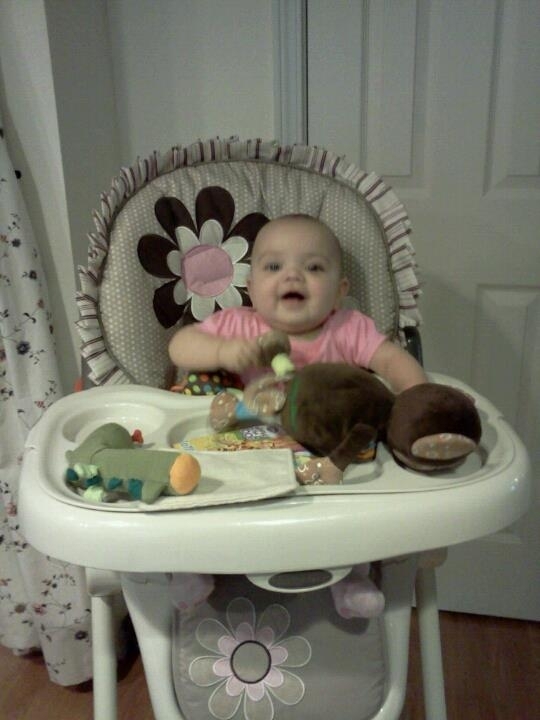 So I got the highchair out today to give it a go. She LOVED it! She could see me no matter what I was doing in the kitchen, dinning room, and living room. I can’t get into my bathroom because the perfect spot for her to see the most is right in front of the bathroom door, but I don’t mind.